Super cute unglazed ceramic frame with easel back measures approximately 4" square and features a round photo opening approximately 2-1/4". Decorating supplies sold separately. Easily able to paint. 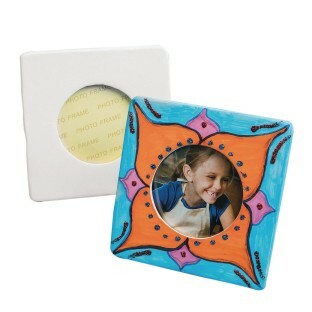 I liked how this picture frame has a support to be able to stand up independently!